If the thought of sweet potato pineapple curry, spicy fried noodles with cabbage peanut salad and chop suey vegetables or a seitan-patty burger with Fritz Cola sauce, cheese dip, tomatoes and roasted onions not only makes your mouth water but your heart beat faster, too – then you’re in vegan-love. 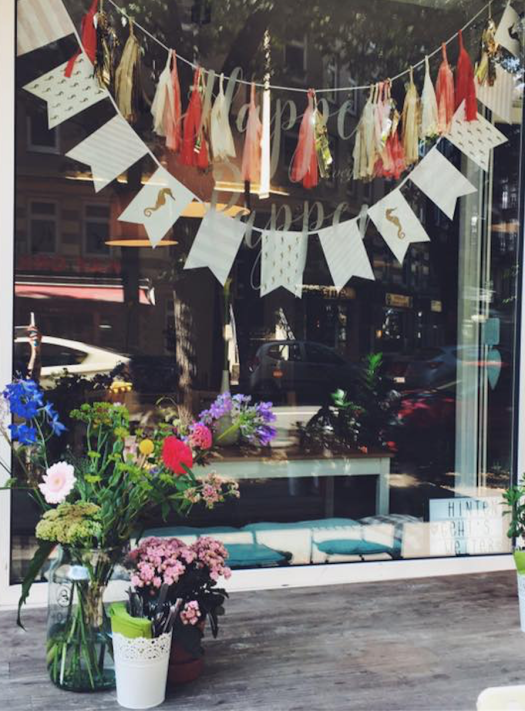 Just like Cathy, owner of the vegan living kitchen Happenpappen in Hamburg-Eimsbüttel. Homemade vegan specialties are served here daily, plus gluten-free options that even make convinced carnivores gush! Monday to Sundays from 6pm is burger night with no less than 5 different vegan burger variations. No evangelism going on here, just cooking with a lot of enthusiasm for alternatives, a vast knowledge about the world of culinary diversity and the patience and wisdom needed to give the guests an understanding of vegan cuisine, if they so wish. The recipe here is 100 % vegan = 200% yummy! Deal! We’re spending the weekend in Hamburg and are incredibly excited about the Altonale. 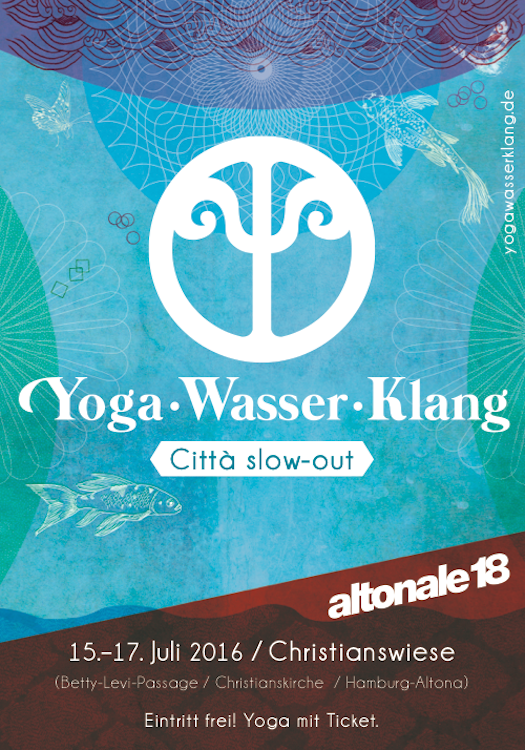 And into the bargain, we’re going to be serving drinks at the bar of the Yoga.Wasser.Klang *Cittá slow-out festival on the Christianswiese. On the most relaxed spot between great yoga providers and sizzling food trucks we going to be cooling a great variety of drinks. Our flamingo Steve is already packed and, we just can’t help ourselves, we’re setting up a beautifully decorated photo booth next to the stage. Before, after and during all this, three yoga-meadows invite you to practise, exercise and relax, meditate and enjoy a massage to laid-back sounds, listen to the live acts and DJs, fill your tummies at the food market, drum around on water singing bowls and much more. Entrance is free of charge, admittance to yoga is with a ticket. Come see us, laugh with us, drink with us and take a picture. We look forward to seeing you and enjoying a fantastically relaxed weekend. One round of Hamburg for everyone, please! 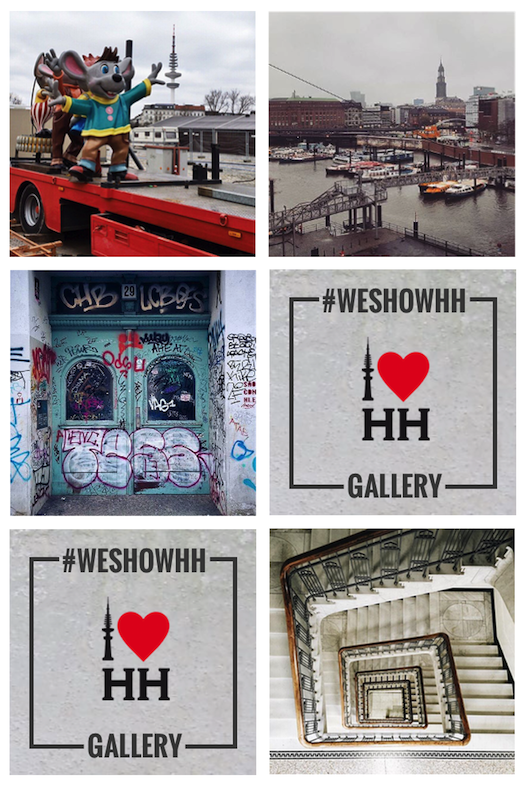 Over 400.000 images have been hashtagged with #welovehh on Instagram, each of them a very personal perspective on the beautiful city way up north. Be it architectural highlights, personal snapshots of experiences in Hamburg, odd birds or the spectacular unobtrusiveness of an unexcited side road – all of it is Hamburg. Plus, the harbour. Plus, the Elbphilharmonie. Plus, the Schanze. It’s time to choose the most beautiful shots out of this breath-taking abundance of tagged photos and put them on display. 10 curating pioneers of smartphone photography will be doing this and making the pictures available to the public – beyond virtual space. From June 9th to 18th, Hamburg’s beauty will be on display in an exhibition in the Alte Bahnmeisterei in the Oberhafenquartier. And the best part: Anyone can join in. 200 pictures in 10 categories will be presented in the end. Until May 8th, any old or new image of Hamburg can be hashtagged and presto: it might be one of the chosen few. And on June 10th, it’s time to celebrate: The pictures. The people. The city. So… Feeling fit? We might have a little something for you. On April 24th, our friends from HEJ Nutrition and FIT.TRIO are holding their „Be Great Boot Camp“ in the Weidesporthalle in Hamburg. You can spend one whole day sweating, chatting, fighting and slimming with Germany’s most popular and successful (and rightly so) fitness couple. This comes with music, delicious snacks – from green to high protein – and heaps of good vibes. Up to 400 boys and girls are invited to roll out their mats on the brand new floor and let Jan and Louisa push them through a varied full body workout aimed at improving strength and endurance. In several sessions, all the major muscle groups are toned with squats, lunges, stretches, back exercises, HIIT workout, ab workout and whatever else there is. Whether you’re a pro or an absolute beginner is totally irrelevant, because each participant will reach his or her individual limit and emerge fitter than before. The breaks are filled with side events and there are challenges, food stalls and all kinds of new and useful stuff waiting to be tried out. Doors open at 9.30 a.m. and then it’s full throttle from 11 a.m. to 4 p.m. with a lunch break in between. Tickets are available for 29€ in advance sale here or for 39€ on site. We’ll be joining in – the gym shirt is ready to go. Can’t wait for the fun to begin! Today is the day. Our friends from the BRKLYN SOAP COMPANY are lifting the veil and finally letting out the genie with a bang while they lift the lid off of their incredible and wonderful birch wood bottle for the very first time. “The Woods” was created by star perfumer Mark Buxton, the nose behind many of the most iconic creations of international luxury perfume houses. The fragrance is a tribute to urban masculinity and its infatuating composition that is subtle yet irresistible will have you rip off your clothes as soon as… er, sorry that’s a whole different story! Damn, this stuff smells good! We’ve had some samples flying around the office for the past few weeks and we keep inhaling the hypnotising scent of mandarin orange, nutmeg, absinthe, myrrh, amber and musk every chance we get. Anyway, tonight, BRKLYN SOAP is now officially celebrating the release of their very own fragrance at the ISLAND in Hamburg’s Banksstraße. The guest list is long – with good reason. Besides the official perfume release and vernissage by photographer Tristan Rösler who created the outstanding lookbook for the fragrance, Jasper & Uhlig will be playing a live set before DJs &Moe and Harmony hit the decks later on. The Dapper Dudes themselves will be there, too, of course. Folks, this is going to be a night to remember. Admission is free – drinks and snacks included. Oh, and if you’re worried you might miss out, you can get your hands on the new fragrance here before it’s sold out. Bring your friends, make some more and enjoy! This place in Karolinenviertel is posh, very posh. Food is served on Thursdays only and one dish only. But this is then prepared by none other than the people behind „Salt & Silver“, a cookbook combining breath-taking travel reports and mouth-watering recipes collected during a trip through South and Latin America. And at Kleines Phi is where the story continues, where real people are doing real things and putting their heart and soul into it. You can feel it and you can taste it. Be it at the Thursday nosh-ups or in form of delicious South American cocktail classics. We really had a great time and enjoyed our exchange of expertise with the lovely barman. Our new mantra: Thank God it’s Thursday! The boards that mean the world. Since 2007, the Surf & Skate Festival has been touring annually through the German surfing epicentres: Munich, Hamburg and Cologne really dive in and celebrate surfing and skating culture in all its facets. Yesterday, the Munich event came to an end. And if you were there, you know what we’re talking about. Until sunday the festival is stopping by in Hamburg and gives all northern souls a great opportunity to enjoy art, sports, culture and party. There is a skating contest at Planten un Bloomen and a 3-day exhibition in HafenCity featuring portraits of local and international surfer boys and skater dudes. The open air cinema at the Altonaer Rathaus (Altona town hall) will be showing surfing films, there’ll be „Skate&Surf“ pop-up shops, a SUP workshop at NOAS on Friday and THE best Hip-Hop party ever with the tightest MC Rene at Mojo Club. Get your tickets for each event at www.surf-skate-festival.com and www.saltwater-shop.com. So, if you can handle a fresh breeze of super cool attitude, send an email with the subject WAX BEFORE YOU SURF to hurra@muxmaeuschenwild.de. Last and final stop: Cologne. A good film, popcorn and above you only stars. 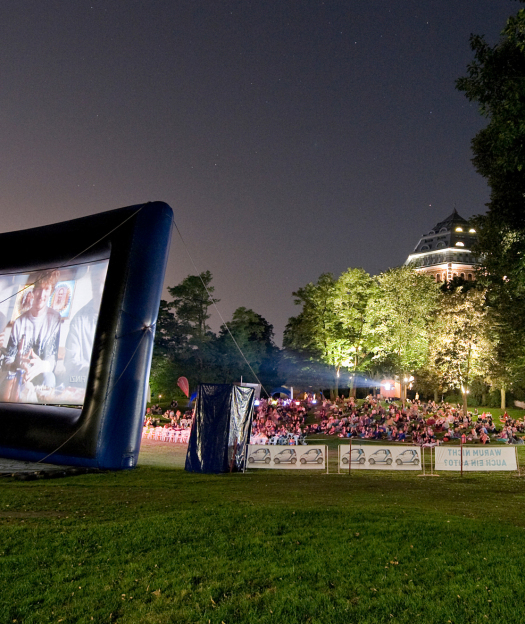 Hamburg’s largest open-air cinema has been going strong for fifteen years and is celebrating its jubilee from the 11th July to the 30th of August. The program ranges from blockbusters to art-house to all-time classics. How about Fifty Shades of Grey after all? July 12th! (Don’t forget to bring your cuddly blanket…) Feel like staggering through Berlin nights with Victoria? July 26th! Fly up high with Birdman on August 1st! Oh, the possibilities! Munch on popcorn, slurp a coke and grab a blanket or a chair! A first this year: an online booking system to save you from standing in line forever. The program changes every three weeks and screenings begin at sunset. We give away two tickets for the film and date of your choice. Simply send an email with ‚ROLL IT!‘ to hurra@muxmaeuschenwild.de. „Brooklyn Soap Co. is having a pre-opening party. There will be good food to nosh on, drinks to get shwasted on, and some sick furniture from BoConcept to take fly selfies on. So come by, say „hi“, and have a toast with us.“ Well, we couldn’t have said it any better. 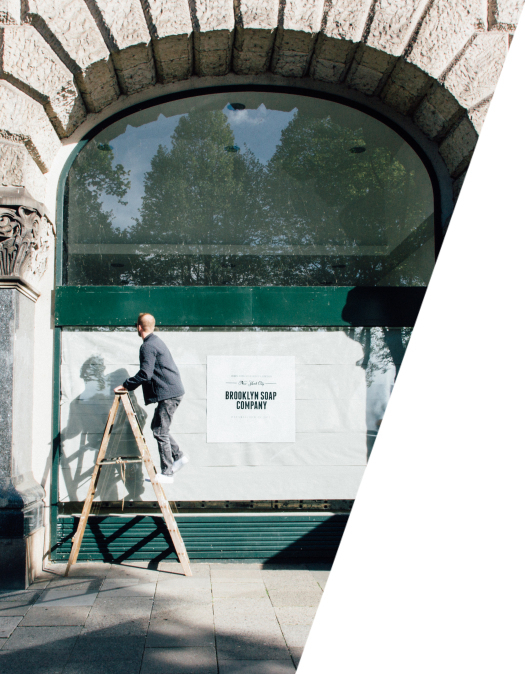 Our friends from the Brooklyn Soap Company are opening their first pop-up shop — right smack in the middle of Hamburg facing the Alster harbour. The opening, er, pre-opening, will kick off at 6 p.m. with plenty of drinks, snacks and the whole shebang. The lads have already proven their knack for good design more than once: they won the Red Dot Design Award for product design and their stand at Vivaness was so beautiful it made you want to move right in. And now it’s time for their own place, if only temporarily. Those dapper dudes got BoConcept to style up their store and the walls are hung with pictures taken by celebrity photographer Thomas Heinze. Not bad! Hamburg and Brooklyn – this is where it all happens. Ladies and Gents, come on over and enjoy the party! The St Pauli Outdoor Season was supposed to begin last week but then came Storm Niklas and pretty much ruined that plan. So let’s try again: Tonight, the St. Pauli Nachtmarkt is officially ringing in the summer season with their traditional barbeque kick off. April showers or not – the Biergartenzeit is a matter of honour. Best grillables fresh from the market and a huge charcoal grill will make this event picture perfect. So you won’t even mind bringing your wellies and umbrella, just in case. The menu includes pork saddle steak, rump steak à la Café de Paris, Norwegian salmon fillet and rib-eye steak with a lime and cane sugar marinade, for example. (No takeaway prices here, mind you.) 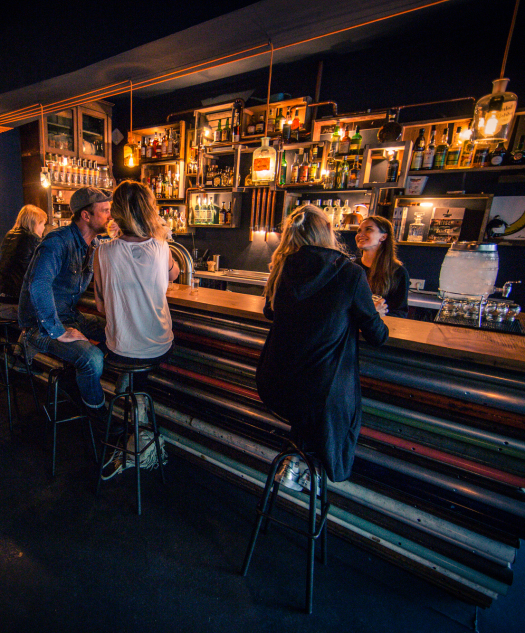 There’ll be live music and plenty of cool and boozy drinks. The Nachtmarkt will open every Wednesday until October from 4–11pm. Let’s hear it for this safe haven of after-work-relaxation and fire up that grill!